And boy do I! I think most of mine have something in common: purple. Purple may be my kryptonite. That plus the photos of these doozies really make for an ugly picture. 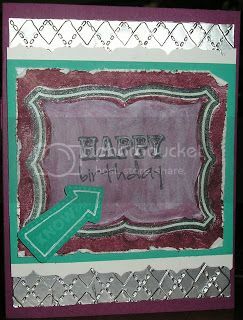 I remember this card and my process, but where did it go wrong? First, the color combination. That dark dried out prune color with lime green is not pretty. Not pretty at all. And then all that stuff. 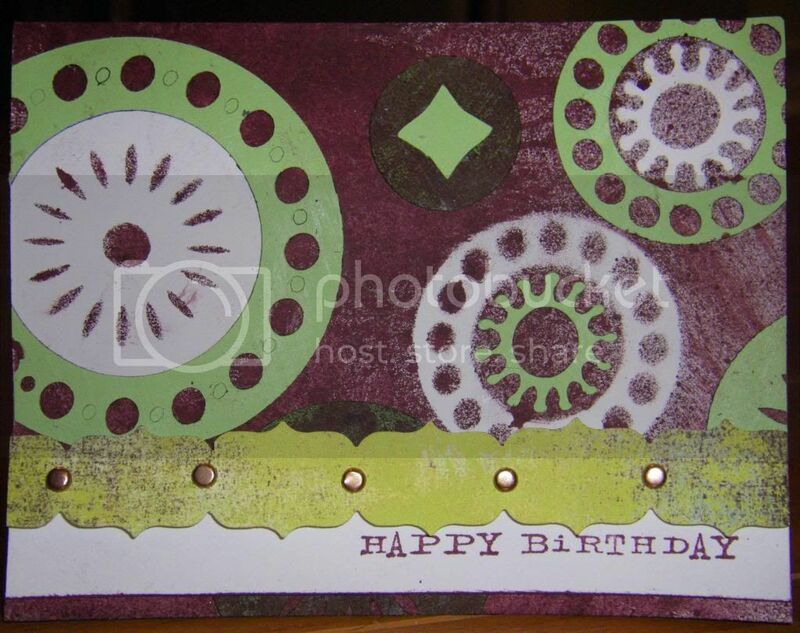 I think moderation took a vacation when I made this card. This card was originally posted HERE. I remember proudly making this.... 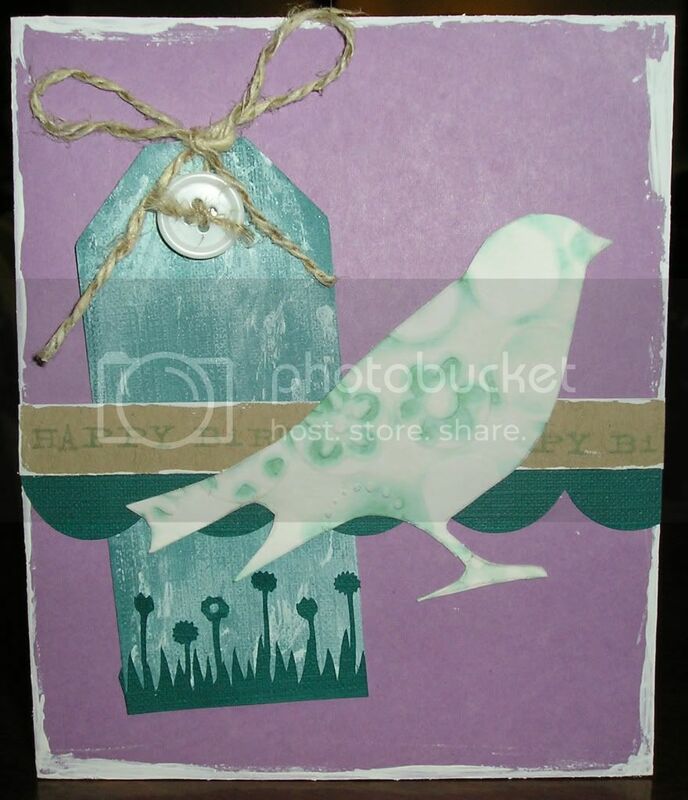 It showcased my awesome Cricut cutting and Cuttlebug embossing skillz. A bow and a knot on the button...brilliant. Wasn't one enough? Obviously not. I don't think I ever posted this one. I wonder why? Purple foiled me again. Tripped me up. Made me fall flat on my face. Beat me up and came out the clear winner. Some parts are good, but somehow the colors are all wrong together. Ugh. The card was originally posted HERE. Yep, that post is a bevy of purple pretties. You would think I would part ways with purple after these disasters. Nope. Purple still shows up. I hope you have enjoyed a laugh or two and take comfort that you aren't haunted by these uglies! P.S. Man Oh Man Monday will be up later this evening and hopefully it doesn't make this blog hop! I'm wiping tears from my eyes...your descriptions are so funny. I also have to say they're not my favorite color combos. Love reading your descriptions....purple is my krptonite too!! Great post, Shay! 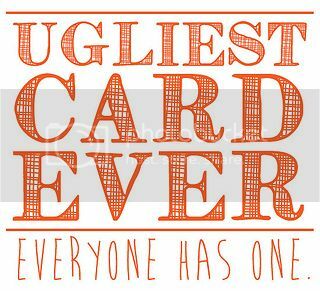 Ugly cards AND a riot of funny words - you had me falling off my chair!! What a great post! You are too funny. Kryptonite is a hilarious description. Thanks for joining the hop, Shay! This was fun to read.